Home / Home / Cary’s Last Fling before the Ring!! Cary's Last Fling before the Ring!! The wedding date is counting down but Cary is off with her girls for one more adventure until the big day!! 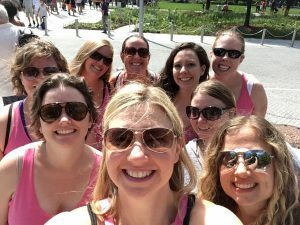 The Bridal Group takes on Chicago in this personalized Scavenger Hunt!! They solved clues, completed challenges and most importantly had a BLAST! !